The Tabularium was erected by Q. Lutatius Catulus in 78 B.C. The bronze tablets of laws and decrees are kept here. It is one of the few remains of the Republican era. From the Tabularium we have a glorious view of the most celebrated spot of ancient Rome: stupendous temples, triumphal arches, monuments of every sort. 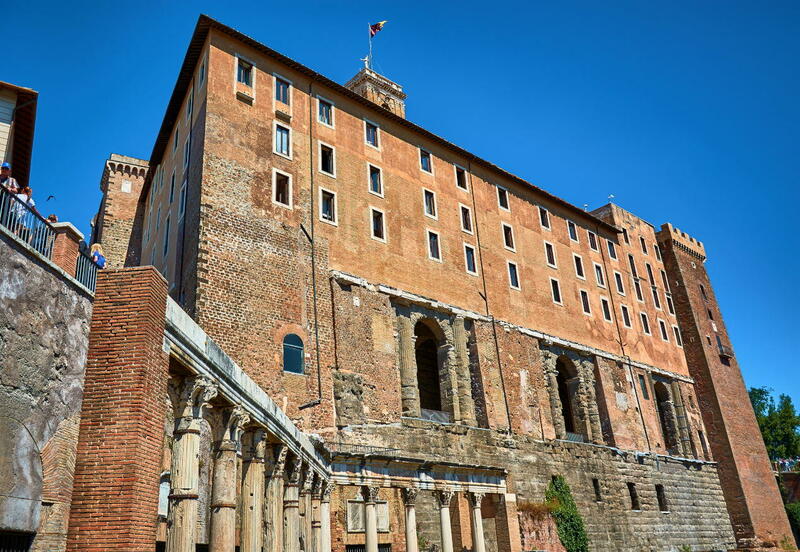 In the Middle Ages a fortress was constructed over the remains of the Tabularium, and this was later on changed into the Palazzo Senatorio (Senatorial Palace). Ever since, the structure has actually been utilized for functions related to the city’s administration. A few of these spaces were utilized from in between the 14th and the 17th. centuries for the storage and sale of salt, while other locations were utilized as jail cells right up till the middle of the 19th. century. View of the facade of the building from below at the Roman Forum, Rome. 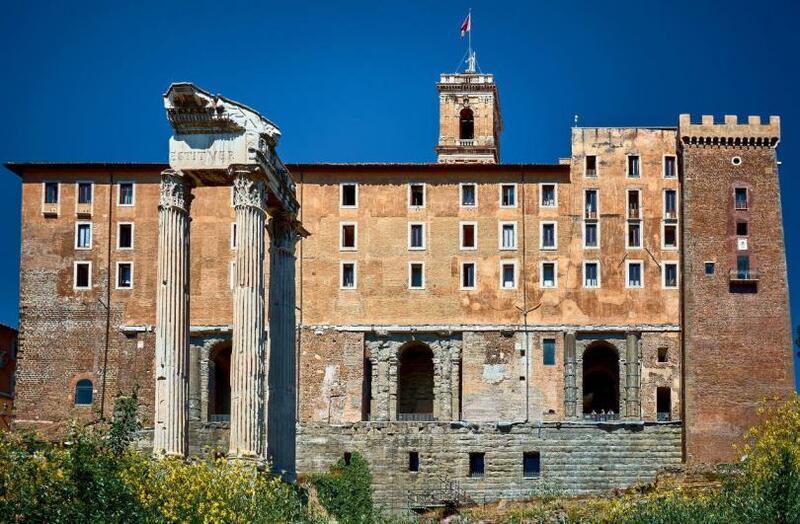 The facade facing on the Roman Forum, 73 met. long, consists of a row of ten arches framed by Doric engaged columns behind which is a gallery divided into rooms covered with cloister vaults. 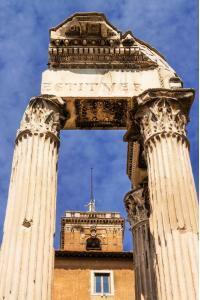 Initially it had a 2nd story with a porticoed exterior of Corinthian columns. Inside the base is a long passage which has 6 windows that face out on the Roman Forum. Today, Tabularium forms the lower storey of the Palazzo dei Senatori. 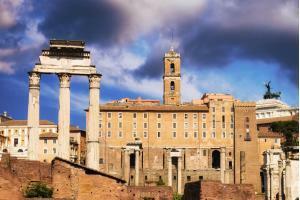 The building set in Via di S. Pietro in Carcere, 1,1 km from (14 min walk) from Colosseum.